I am so excited to offer, for the first time, my workshop this month on making permanent life changes! It does not matter what the change is… whether it’s related to health, relationships, career, education, finances, or anything else… YOU have all the power you need to live your dreams! Yes, yes…I know you have tried. Yes, yes…I know you have heard before that you can do it. Yes, yes…I know it seems hard. Here’s the thing… we need to stop putting any energy into the problem… stop it all right now! This is what I am going to teach at my workshop this month for those that are really ready to move on from living “trapped” where they know they don’t belong. Our brains have far more areas working than what we are aware of…what we call the conscious mind. When people say to me, “I just don’t know why I keep doing what I know is not good for me!” I know exactly why. They have not yet learned how to use their conscious mind (what we think) to reprogram the subconscious mind. Once we learn to do this, we can accomplish our wildest dreams! Truly, who has not heard, “Anyone can accomplish anything they set their mind to.” Well, let’s learn how to do just that! There is no other body part that has the complexities as our brain. I ask my students in yoga to look into their own eyes all the time to see the energy they are choosing to work with. At first, I feel their confusion. They want to see where their knee is lined up, where their shoulders are at, how their yoga pants look…but, looking at your energy? Knowing that 90% of communication is non-verbal, once we are trained to recognize what we see in our own faces, we can easily start to see what energy our body is being asked to follow. Once we learn to chose a different energy and/or thought to change the energy, our body responds accordingly. There are so many tools that we can learn to use and carry in our “tool belts” for working on our energy and setting our mind into a place of powerful intention no matter what the topic may be. It is no where near as difficult as you may think. It just takes some education and discipline. I’m talking about 5 minutes a few times day no matter what you are doing… truly, no equipment needed! Just like releasing muscle tension, once we get started with what I call the “superficial changes,” we then get deeper into changes that really rock our world! Let’s get started! Join me on Saturday, September 19th this month for a life-changing workshop like you have never experienced! There is no time to waste! This is your life and you deserve to be living a life full of joy, gratitude, love, and excitement! Are you ready to stop any of the habits, thought processes, negative feelings, or anything that is holding you back from living a fun-filled life that you look forward to living every morning? Do you know that there’s a “better way” for you to live and you just can’t seem to figure out how to make it happen? Are you exhausted from the extreme roller coaster of emotions, weight changes, energy imbalances, or inability to know where your life is going? If any of these questions resonate with you, then this workshop is for you! Diana Spiess, Owner of Essence, will be hosting this amazing workshop for the first time ever. 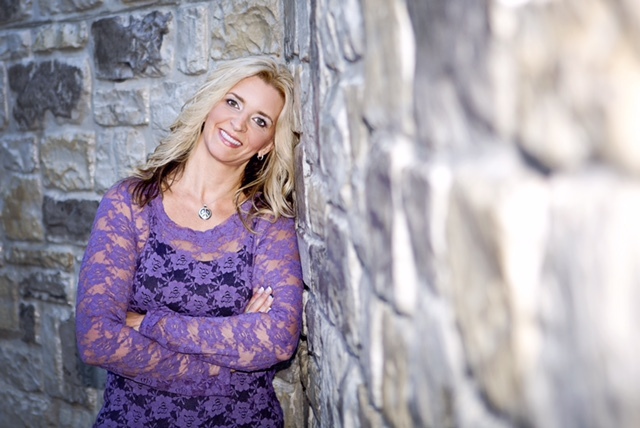 She is Board Certified as a Holistic Alternative Psychology Master and she is ready to help anyone ready to make the permanent move to live this life with passion and great health! Along with her training and experience as a Certified Health Coach with ACE and IIN, Certified Behavioral Change Specialist, Reiki Master, Certified Medical Exercise Specialist, IIA Certified Clinical and Therapeutic Aromatherapist, and much more, Diana will teach you the skills needed to move through the rest of your journey here in your fullest capacity! These methods can be learned and practiced by anyone, at any age, with any problems…no matter what they are! Cost: $150 per person. This cost includes the 2 hour workshop, a CD to keep that will be needed for practicing the release technique, and your first, private evaluation session with Diana ($100 value). Each participant will receive their first, private evaluation session with Diana free and as a workshop attendee, will be able to purchase future sessions at a discount. These sessions can be live, by phone, or by Skype. Sign up for this workshop by calling into the studio, stopping in or sign up online. Refunds will not be given after Thursday, September 17th due to the limited spaces. System credit can not be used for this workshop due the cost of the CD and other supplies. DO NOT WAIT ANY LONGER! There is no getting time back. Stop wasting your precious time guessing on how to fix things, rehashing the past, and living with low energy. You are a precious, precious miracle that is here to live a Divine purpose that should leave you feeling full of energy, love, and eagerness to rise each morning full of gratitude and joy!